Approximately 37.2 million motorists will pack the nation’s highways this weekend as they travel at least 50 miles for their Memorial Day festivities, a 4.7 increase from the 35.5 million who traveled last year, and the highest travel volume for the Memorial Day Holiday Weekend since 2005. Low gas prices play in role in why nearly 33 million Americans will be driving to their destinations, 5.3 percent above last year. The Memorial Day holiday travel period is defined as Thursday May 21 to Monday, May 25. Holiday air travel is also up 2.5 percent to 2.6 million travelers, while travel by cruises, trains and buses is expected to decrease 3.6 percent this Memorial Day to 1.64 million. “These latest numbers prove that more Americans are ready to kick off the summer season to spend time with loved ones near and far,” according to Jim Lehman, President, AAA East Central. “Auto travel continues to be the most popular mode of travel. More than 88 percent of holiday travelers will be driving, and will be seeing lower gas prices in many surrounding areas,” he added. Over 4.4 million people from the Mid-Atlantic states (New York, New Jersey and Pennsylvania) expect to travel this holiday weekend. More than 6 million people from the East North Central states (Ohio, Michigan, Indiana, Illinois and Wisconsin) expect to travel this holiday weekend. More than 2 million people from the East South Central states (Kentucky, Tennessee, Alabama and Mississippi) expect to travel this holiday weekend. 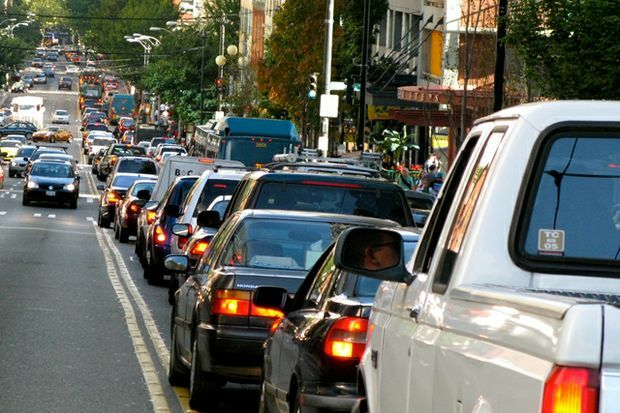 Nearly 6.9 million people from the South Atlantic states (West Virginia, Virginia, Delaware, Florida, Georgia, Maryland, North Carolina, South Carolina and Washington, D.C.) expect to travel this holiday weekend. Travelers continue to benefit from substantially lower gas prices compared to recent years. Today’s national average price is $2.659, nearly a dime less than last year’s price of $3.656. AAA predicts most U.S. travelers will pay the cheapest Memorial Day gas prices in at least five years. According to AAA’s Leisure Travel Index, the average daily car rental rate this Memorial Day is $19 higher than last year. The average nightly stay in a Two Diamond hotel is 16 percent higher this year at $144, while Three Diamond hotels will cost seven percent more, averaging $182. Average airfares for the top 40 domestic flight routes are two percent cheaper this year, falling to $222.